Coconut milk yogurt is surprisingly good. This particular brand has several different flavors, my favorites are blueberry and raspberry. I’ve used this yogurt in all kinds of recipes that call for cow’s milk yogurt and I’ve even used it in place of cow’s milk sour cream in a couple of baking recipes with great success. I sometimes have it for breakfast with granola and nuts or fruit sprinkled with oatmeal. It’s not so good that it makes me want to do cartwheels, but if you’ve ever tasted goat’s milk yogurt…this would definitely get 5 stars over that! My one request to them and other dairy free yogurt makers would be to make it creamier. More like a full fat yogurt. This is creamy but not that thick, luscious, creamy I remember about cow’s milk yogurt. But all in all, still a great product that is worth buying. 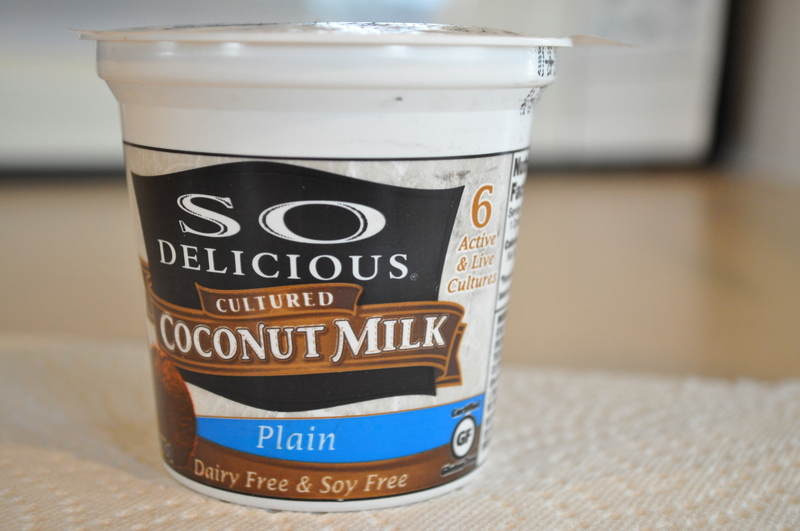 I love So Delicious coconut milk yogurt! It’s way better than all the other non-dairy yogurts out there. Have you tried their coconut milk creamer? It’s sooo good! No, I’ve never tried their creamer or even seen it! Can you use it in place of whipping cream?